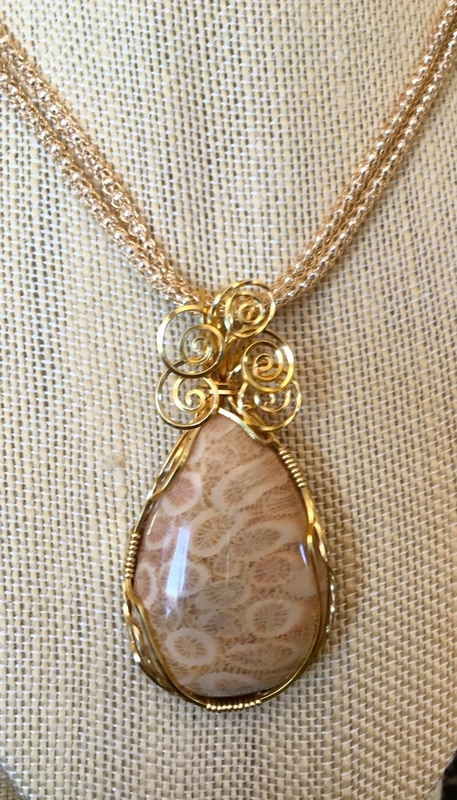 Exquisite Petosky (State Stone of Michigan) cabochon wrapped in square and twisted square wire on double SilverSilk chain. Shades of honey and caramel, beautiful with any Fall colors. Chain is 22"; matching SilverSilk loop earrings.